GRID Autosport developer Feral Interactive has shared the first batch of screenshots for the Switch version of the game, and it's looking pretty tasty. 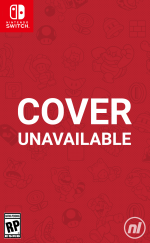 News of this one's upcoming Switch release first broke in November last year, when Feral Interactive's managing director said that the company was "thrilled" to bring the game over to Nintendo's machine. A trailer was shared alongside that announcement, but now we can take a real, up-close look at the game in these new stills. 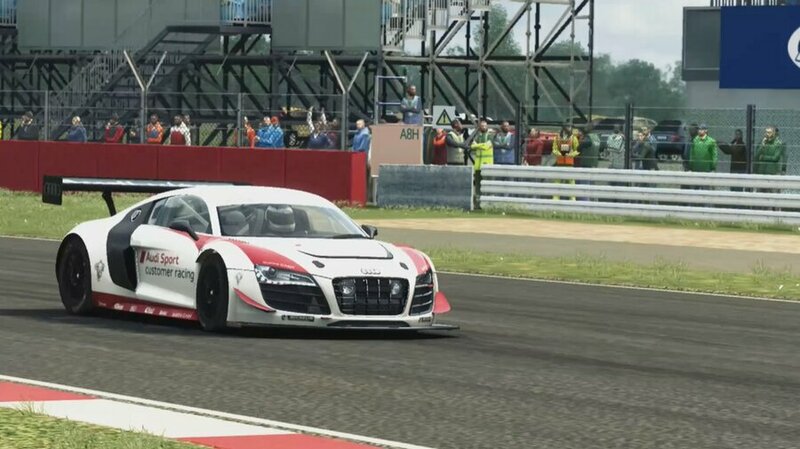 The images show the game's version of an Audi R8 LMS Ultra speeding around the UK's famous Silverstone track with a turbocharged engine. We're still yet to receive a confirmed release date for this one, but we do know that it's scheduled to arrive on Switch in 2019. 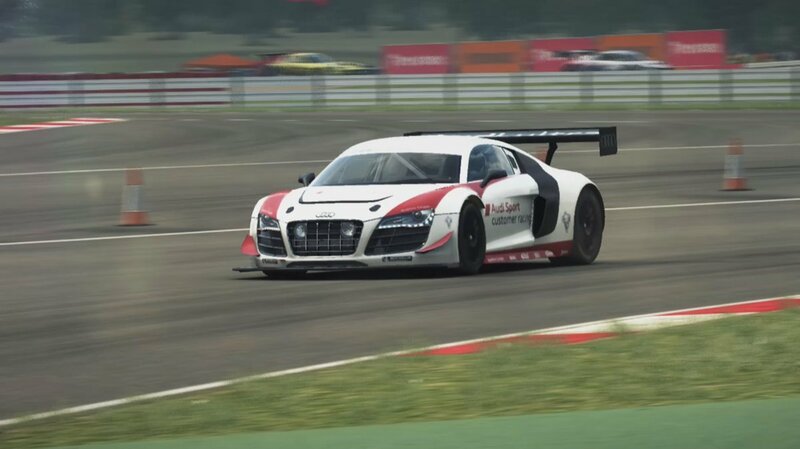 Are you looking forward to playing GRID Autosport on Switch? Do you like a good realistic racer? Let us know in the comments. Totally forgot about this. Screens look good, can't wait to finally have a sim racer on switch! Looks ace. As @redd214 said, I had also totally forgotten about this. Looks like my racing sim prayers may finally be answered. Nice, but I still want Ridge Racer. I have no interest with realistic racing games at all. But, i wonder if that game have compatibility with Toy Cons 01 & 03. The only racing type game I'll be excited for is another Excite Truck. Although this looks good and the Sonic racing game looks decent as well. Excite Truck was a lot of fun. This looks very impressive. I still think that driving simulators will always be limited on the Switch due to the lack of analogue shoulder triggers. Braking and acceleration inputs can not be done properly with simple on/off buttons. @Retupmocnin I loved that game on the PS1. It would be well suited to the Switch. @steve_1978 while not the same thing, what about an analog stick? This looks great. I had no idea it was coming to Switch. From reading the reviews it seems to be a celebration of Codemasters last gen racers. This will surely take the crown of 'Best handheld racing sim'.A definite purchase, can't wait. With this, Crash Team Racing, Team Sonic Racing, Virtua Racing on the way and Outrun, Horizon Chase Turbo, FAST Racing and of course MK8D already on there, the Switch will soon have all genres covered. I love my racing games but I like to have a good variety,realistic, arcade, future and kart racing. Now all I need is Daytona, SEGA Rally and Outrun Coast 2 Coast and I'm happy. Turbo Outrun, Outrunners, Road Blasters and Chase HQ would also be very welcome though. Generally prefer kart racers and such but the occasional more realistic racing sim can be good. I might get this. Ooh awesome, had no idea this was coming to Switch but I'd love something like this on the go. Looking good so far! The Switch needs titles like this. Looking forward to it! 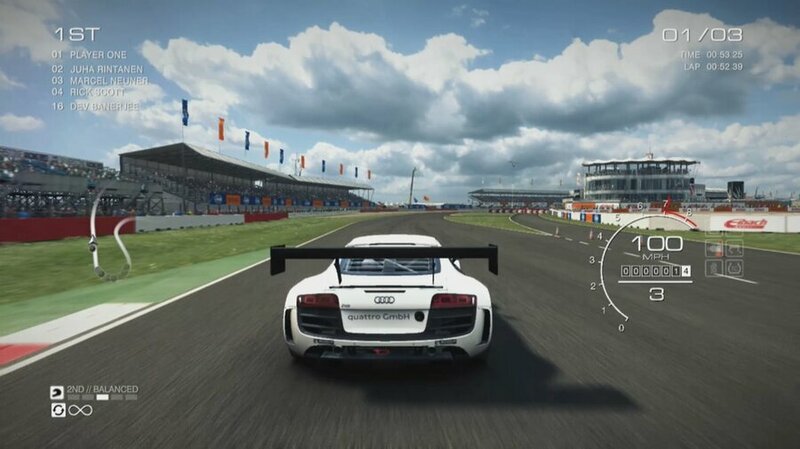 @Discostew it is very difficult to strike a ballance between braking and acceleration on the analog stick. The original Colin McRae Rally on ps1 had that system on it and I never got use to it. The switch really would have benefited with analog triggers for SIM racing games. Let's see what they plan to do. By the way the game looks sweet. @Discostew True. I hadn't considered that option. It worked fairly well for Gran Turismo on the PS1. @Spoony_Tech Yes, a release date would be nice. With out a date, I have to assume it will be later in the year. But I can wait, this looks like a sweet ride. @dugan I played this when it first came out and it was a nice alternative to Gran Turismo. I'm just hoping they get this game done just as good as the Ps3 version and I will be happy as can be and it will without a doubt be the best realistic racer on the system. Looks Hot!! Can’t wait for this. Hopefully by the end of the year we will have this and F-Zero! A man can dream. Finally, a high profile racing simulator on the Switch! Since it won't have Forzas or Turismos, this one is kind of the best thing. I wish it had Project Cars, The Crew and one of the Dirts, too! Day one if it reviews well. I’m interested but as others have said, the baffling lack of analogue triggers might spoil this. Will be interesting to see if they are porting the mobile version or the console one. @steve_1978 Kind of makes me miss the fantastic trigger buttons we had on the GameCube. Best feeling analogue triggers on a standard game controller, at least that I can remember. This is a great game and is accessible to all unlike some sim racers. Proper good deep career mode. Cant wait to have this. @steve_1978 I hadnt even thought about this with switch.. is it why V Rally doesnt work anyway near like it should??? Braking and acceleration in that game is awful, only played switch version... that makes sense. You take things for granted and this is one thing id not joined the dots up with. I've always liked just mucking around with racing sims, but I've never been one for getting into the meat of one, oddly. I think I'm more of a "jump in and race" kind of guy, such as a game like Horizon Chasers, but damn if the realism of GRID isn't pretty! @The_Mysteron It's not really a sim though for all but the most casual of player. Grid is pretty arcadey, although Grid Autosport at least dials it back a level from Grid 2 where the real life cars and tracks basically felt completely out of place with the physics that were in place. If you're expecting something on the level of even the Codemasters F1 series (Which most sim fans would label a simcade since it straddles the line nicely for accessibility, blending the two disciplines), it's definitely not nearly as realistic and leans more towards the arcade side of the spectrum. And it definitely isn't a full fledged sim like Dirt Rally and likely the upcoming Dirt Rally 2.0 are. Of course this is all relative. I'm an iRacing fan for instance, so my ideal of what constitutes a simulator is going to be different than someone that that might play one racing game a generation with real vehicles. For that person, just the presence of real vehicles, real tracks, and having to actually hit a brake button occasionally is going to be enough for it to reach sim status to them. If this has all the DLC and it's all on cartridge with no day 1 download, I'm interested. The DLC never goes on sale on the 360, so I've just bought the two most interesting packs (The PS3 version got a season pass which goes on sale seemingly every other week, so I've been tempted more than once to just rebuy the entire thing over there). But knowing Codemasters and their past history with Nintendo, I'm not too optimistic it will get a retail release in North America, let alone go all out with everything on cartridge. Codemasters has never tried very hard to succeed on Nintendo platforms, but hopefully this ends up a change of form for them. Grid Autosport is an ideal choice for a port since it's a fine game and as a late 360/PS3 release that happened months after the XB1/PS4 launched (And not too long after the disappointing Grid 2), it seemed to get overlooked. And there hasn't been a Grid sequel since then to overshadow it, either. I also hope now that Codemasters is giving this property some attention, that they perhaps submit the 360 version to the Xbox One backwards compatibility team while the licenses remain valid. Never cared about the series in the past on last gen consoles. Why do I now suddenly? A buddy of mine got the Switch and asked me if there was a good "serious" racing game on the platform. This should make him happy, provided it's good. I wholeheartedly agree. Yet some people will come to the rescue of Nintendo’s horrendous design decisions and defend Wii U’s and Switch’s shoulder buttons having binary input. I really want a good single player sim racing on switch and even if this is not a Forza/GT it appears to be way better than the competition. Isn't this the mobile version though? "GRID Autosport's AAA production values and deep yet accessible gameplay will make it a fantastic addition to the Nintendo Switch. Following its success on iOS, we're thrilled to bring it to Switch players." So it's the iOS version if I'm reading that right? Now this looks like my kind of racing game! I love my MK8, but it’ll be nice to have a serious racer, too. No analog triggers so will pass on switch. We need a pro controller V2 or a controller specifically for racing games with analog triggers. Should be a good edition to the racing game lineup on the Switch. Is the iOS version the full game with DLC? As long as it is I don't care too much what version they are porting as long as the controls are good and its playable in handheld! That looks visually impressive for Switch. Hopefully it maintains framerate in handheld, but it looks surpsingly polished! I would be interested to learn why we still do not have an appropriate more realististic race game. Is it simply because the Switch is underpowered for this or is there simply no AAA developer daring to invest because Switch owners are only interested in Mario Kart? V-Rally looked promising, but the whole chasing the sun or sudden eclipses close in front of you really kill it. Is it fair to expect Forza 4 xbox 360 quality on Switch or not? Or something like burnout paradise? If it looks and plays like the videos show this could be amazing! This looks really good. Switch really needs a decent non-cart racer. Spintyres shows that it is possible to have a physics based vehicle game that performs well. When will Hori grace us with some real sim support like some Official N Wheels/pedals and some Flight Sticks ?? Xenon racer is gonna be the one, out in March. Possibly not the switch version though. I'm concerned over framerate. @Swoltacular It's not a simulator. A simple digital on/off button will suffice if you're interested in this game. It's probably going to be 30FPS as with Xenon Racer (they confirmed via Reddit). I'm just baffled still on the fact that Shin'nen can do breathtaking visuals at 60fps (i.e., Fast RMX) and these other companies, which supposed to be AAA industry veterans, can't.